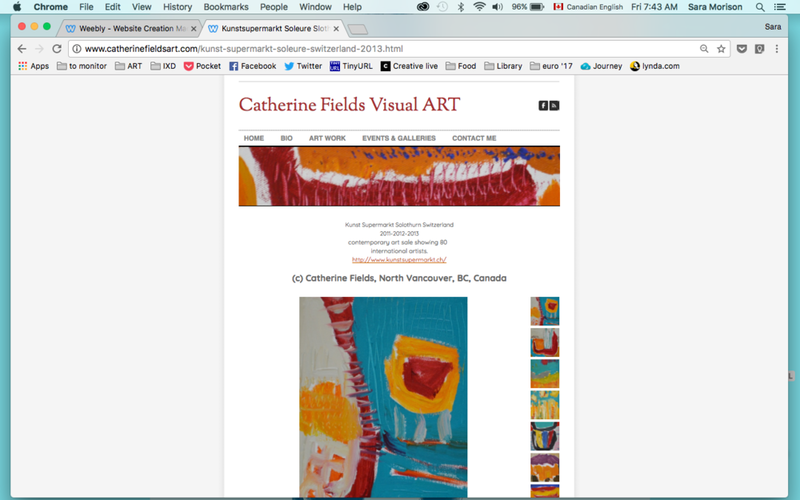 Catherine is a Swiss-Canadian abstract artist with a great deal of energy, a large collection of paintings, and has a website she built on the Weebly platform. 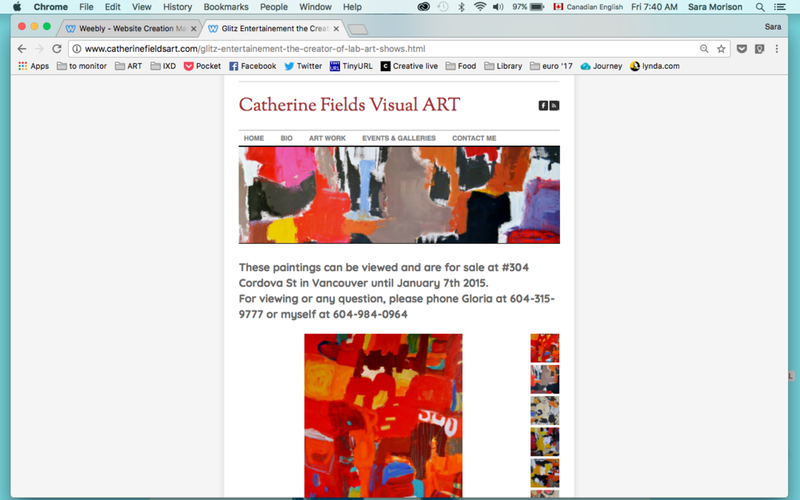 Although she has sold many pieces over the years, especially in shows and during studio visits, she has not had much traffic or sales through her website. She is comfortable using Weebly, however she reached out for help with the re-design and organization of her ever-expanding website. Why do you want the site? Do you have a deadline or timeline for the design? Who will manage the site longterm? The second step is the interview/meeting with the client where she detailed her interest in increasing web presence and possible sales through the site. She told me the visitors to her site tend to be interested fans of art and gallerists to whom she is trying to reach out. For now she wants to stay with Weebly as she will be doing the upkeep and she is not very tech-savvy but is comfortable with how this platform works. Further probing of the site revealed there were outdated links and information, and there were various ways the work was categorized, possibly confusing a visitor. She also wanted to highlight a video she'd made of her painting process and we decided it might be a good idea to make her work more understandable to a visitor by having a slideshow of her artwork hung on walls. Then, in order to enhance a visitor's experience on the site, I needed to make sure the navigation was easy, the highlights (her video, the slideshow of in situ works) were noticeable, and the overall journey was enjoyable. Finally, we worked on design elements: the colour palette and typography she was interested in, how the different art galleries of her work were grouped and displayed, and the new branding of her header. For this step, I created several examples using ideas and colours we had discussed to get a better picture of what the site might look like. 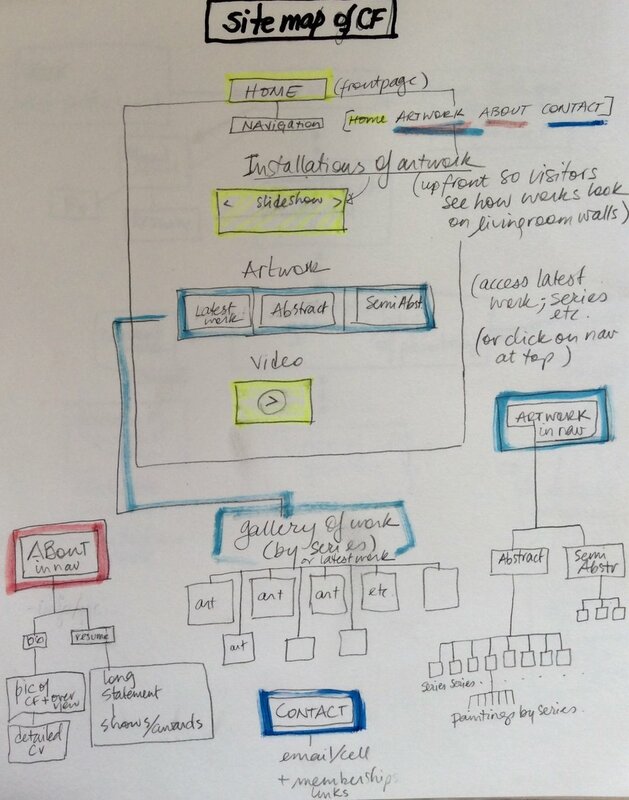 This process took several iterations until we arrived at something clean and understandable. 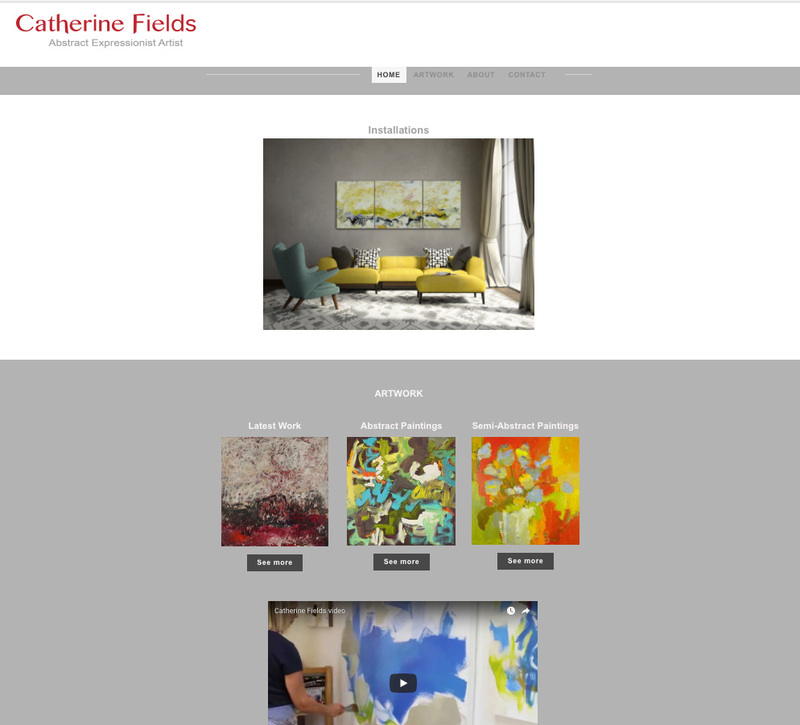 A cohesive, organized, branded artist portfolio site that is easy to navigate, highlights examples of work in situ and a video of the artist's process up front on the home page. The site is easy to maintain and update, and offers a more professional look and feel to enhance a visitor's journey through the site with the hope of enticing more sales and gallery interest.